Held Aug. 24 and 25 in Chicago, U.S. Apple Association’s (USApple) 2017 Apple Crop Outlook & Marketing Conference is the annual event to preview, forecast, and discuss the global impact of the upcoming apple harvest. The two-day event features a strong line-up of experts covering crop production estimates, the status of current trade relations and the influence of consumer buying habits. NAFTA is this year’s buzz word. With NAFTA renegotiations launching this week at the insistence of the Trump Administration, the conference will kick off with keynotes led by high-level government officials from Mexico and Canada. One out of three U.S.-grown fresh apples is eaten in a foreign country, with Mexico and Canada comprising the No. 1 and No. 2 export destinations respectively. Outlook speakers with NAFTA expertise will speak from varying viewpoints on the possible outcomes and impacts of renegotiating the treaty. A new addition this year, veteran members of the agriculture trade press will discuss the overarching influences and public perceptions impacting consumer produce consumption during a panel discussion. From labor and immigration demands to innovative marketing concepts, the media panel will field questions from the audience on what drives content and makes a story or grower profile newsworthy. 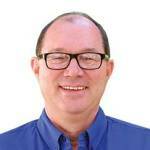 One of those panel members will be Editor David Eddy of American Fruit Grower® and Western Fruit Grower® magazines. He and Executive Editor Richard Jones and will be in Chicago to present Rod Farrow with the 2017 Apple Grower of the YearSM award and reporting live on the conference. Follow them on Twitter at @Dave_WFG_AVG and @Richard_AVG_AFG. 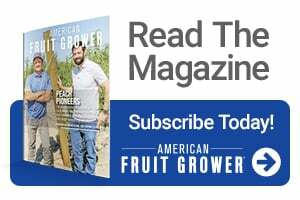 American Fruit Grower® and Western Fruit Grower®magazine’s 2017 Apple Grower of the YearSM will be officially presented on Thursday, Aug. 24, during the first day of the conference. This year’s deserving winner, Rod Farrow, follows in the footsteps of such past winners as Grady Auvil, Ralph Broetje, Gary Mount, Mo Tougas, Evan and Nathan Milburn, Dan Boyer, Mike Taylor, John Rice, and many others. The Apple Grower of the Year award program, sponsored by Valent U.S.A., honors apple growers who have gone beyond the confines of the orchard and have, through their involvement and leadership, made a real impact on the apple industry. Hands-on sessions over the course of the two days will dive into the projections of the apple crops by region, in the U.S., Europe, China, Canada, Mexico, and South America. Participants will also attend an apple juice, concentrate and processing panel and listen to new research on buying habits when it comes to the safety of produce.